Vapi Municipality published notification for recruitment for below mention posts on contractual bases. How to Apply: Interested candidates can apply & send your application along with all relevant certificates by registered post / speed post to given below address. 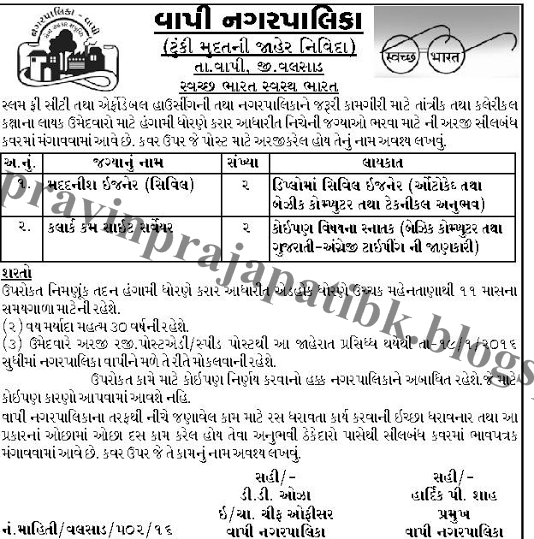 Send your application to given address: Vapi Municipality Office, Ta - Vapi, Di - Valsad.